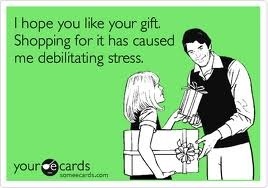 When you talk to someone about shopping at the mall during the Christmas season, they immediately cringe. Just the thought of going to a shopping centre during the holidays makes my heart race! And you know that there’s no avoiding hitting up these places when you have several people to buy for. The roads nearby are busy, the parking lot is a literal traffic jam with eager shoppers vying for a spot, let alone a good one. Once inside the mall, you need your GPS fired up just to navigate through the milling shoppers.Personally, after an hour or so of this, and I need a break from the chaos! Thankfully, if you are an RBC Avion member (Avioner), you can escape the insanity when you’ve just about had enough. 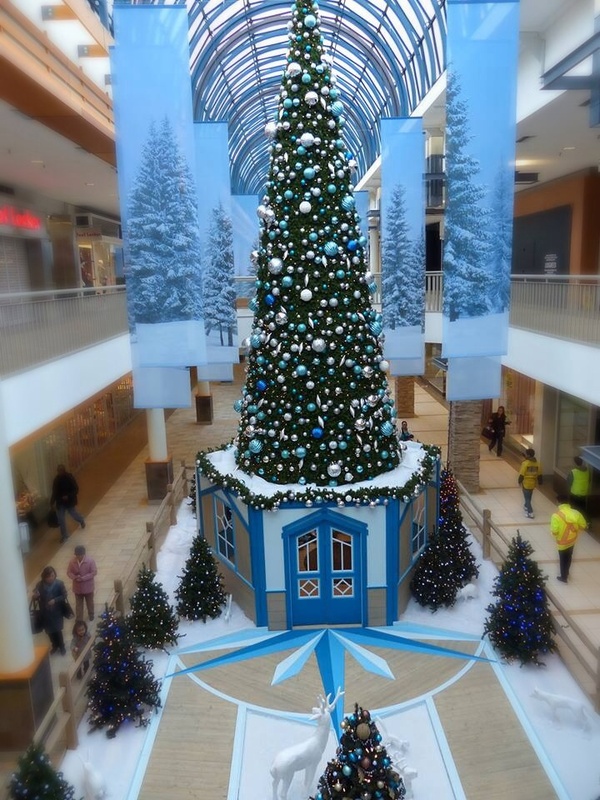 The RBC Avion Holiday Boutique has been set up in select shopping centres so that Avioners can step out of the hustle and bustle, take their coat off, have a warm beverage and snack, not have to worry about wrapping their parcels and just take some time to put their feet up and recharge their batteries so they can dive back in and finish up their shopping. Having to not find a parking spot was fantastic! We just pulled up to the valet booth, and the nice chap happily parked our van for us. While visiting the RBC Holiday Boutique, we were treated to complimentary Starbucks coffee and mint hot chocolate and an assortment of yummy cookies, apples and candy canes to nibble on. 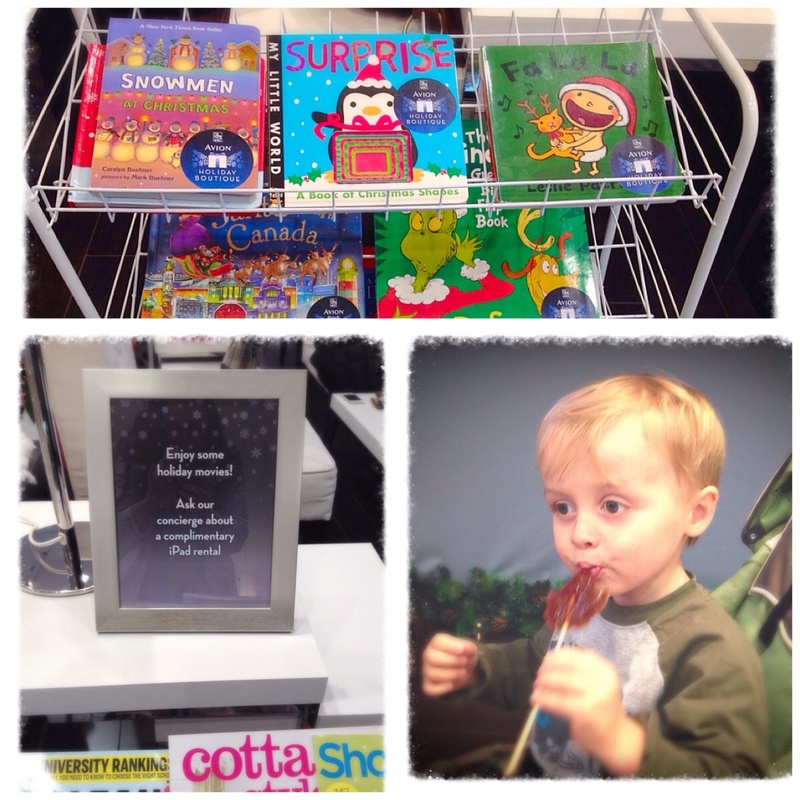 Our little guy picked out a couple of Christmas themed story books that were available to read and we were able to sit back and relax and unwind. 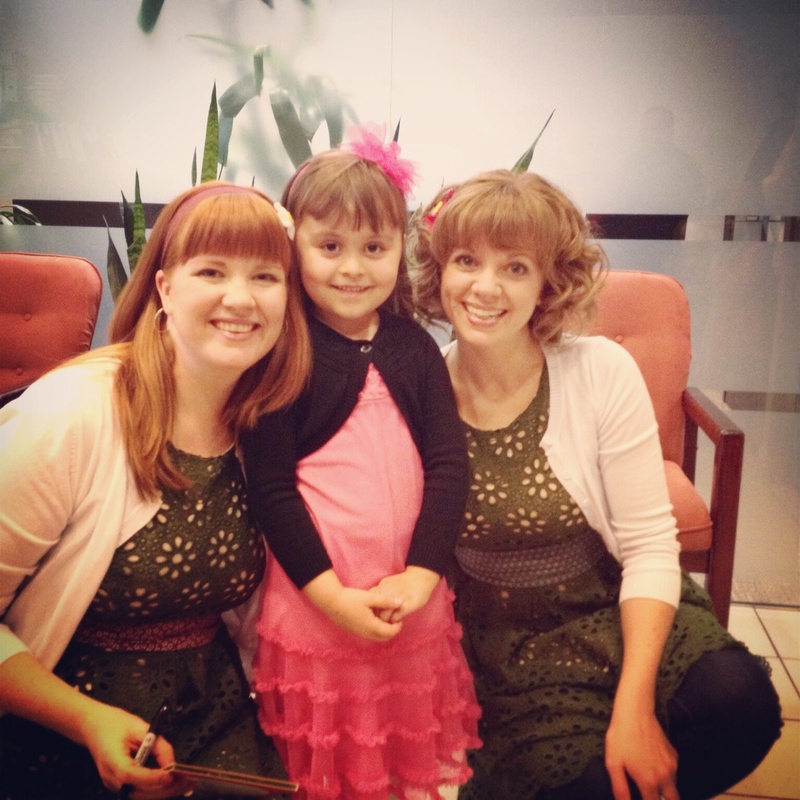 They even have a Twitter contest that you can participate in to win some awesome prizes! Fingers crossed, I WIN this beauty! 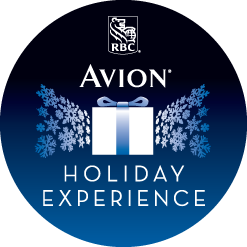 The RBC Avion Holiday Boutique is for Avion cardholders but the public can enjoy the valet parking, coat & parcel check and gift wrapping services for a pre-set fee (all coat & parcel check and gift wrapping fees are donated to charity). 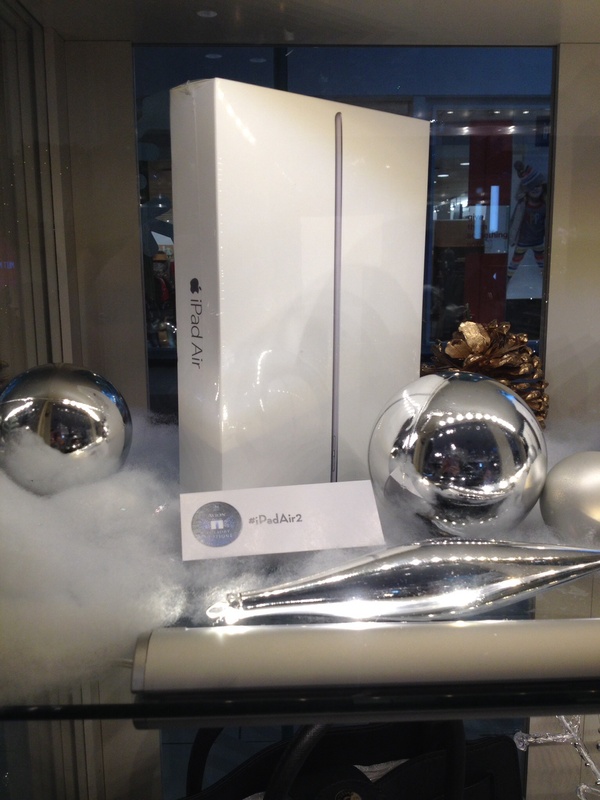 You can visit the RBC Avion Holiday Boutique at Coquitlam Centre from November 22nd-December 31st. Click here for location and mall hours. Do you go Christmas Shopping with a predetermined list, or do you like to browse around until something catches your fancy? Give them clothes and you’ll see the disappointment on their faces, or worse…a tantrum equivalent to a nuclear meltdown! Kaboodles Toy Store, a Vancouver institution with four locations in Vancouver and Victoria, carries toys for every kid on your Christmas Shopping List. 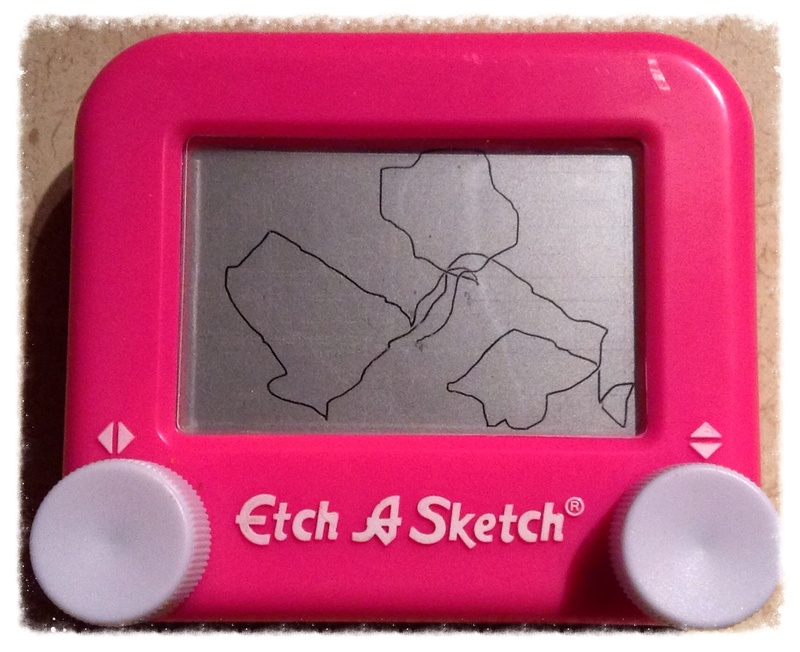 Our kiddos fight over who gets to use the Mini Etch A Sketch, and bath time was so much fun when we tossed in the Sprudel and watched it fizz and dissolve in the water, then VOILA! a surprise popped out! This year, Kaboodles is launching a Vancouver-wide Toy Drive to support families who can’t afford gifts for their children. 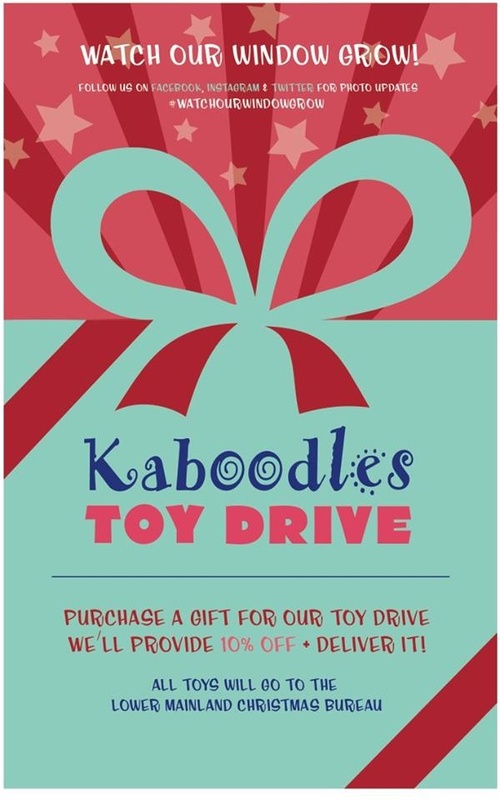 At every Kaboodles’ location, people can donate a gift to the Kaboodles Toy Drive, and all gifts collected will be delivered to the Lower Mainland Christmas Bureau who will pass them on to families in need. 7. Jenga: The classic block-stacking, stack-crashing game of JENGA! 4. Tea Duckie: Add whimsy and mirth to your teacup with the tea duckie tea infuser. Any tea lover will enjoy! 5. Frozen: Warm up an Olaf plush with a warm hug or enjoy mouth watering jellybeans inspired by all your favourite Frozen characters. Perfect for any Frozen fan. 7. 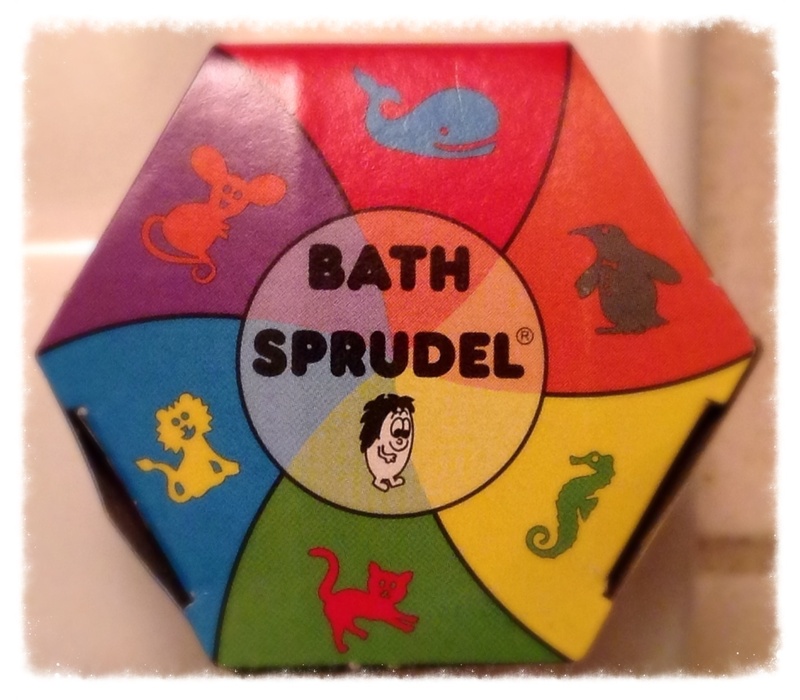 Retro Classics: No Stocking is complete without a blast from the past. Classics like Slinkys, Etch-a-Sketch, magic worms, Jacobs Ladder, whoopee cushions, silly putty, and Kaleidoscopes are a Christmas morning must have! 8. Grown your own Yeti: Create your own winter creature with this magic grow Yeti! Add the materials and construct your Yeti, then watch as he starts to grow in a few hours. 9. Lego Minifigs: Don’t forget about all those Lego collectors out there. Minifigs are the perfect stocking stuffer for any Lego addict and perfect for ALL ages. Stop by Kaboodles’ Point Grey location this Friday, November 28th for the Point Grey Shopping Night! You’re guaranteed to not leave empty handed! 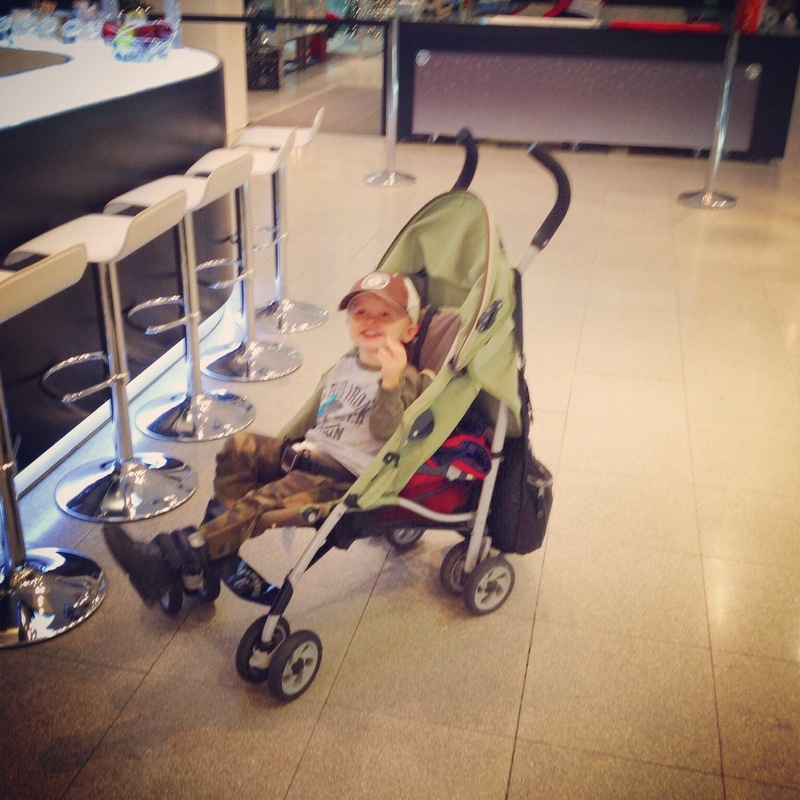 Even visiting celebrities can’t miss shopping at Kaboodles Toy Store! 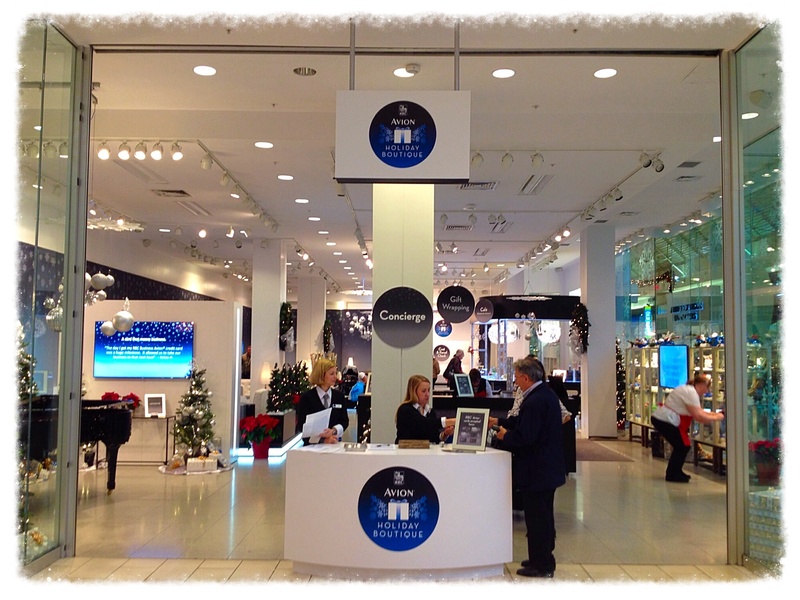 I’m so excited to check out the RBC Avion Holiday Boutique coming to Coquitlam Centre this holiday season! 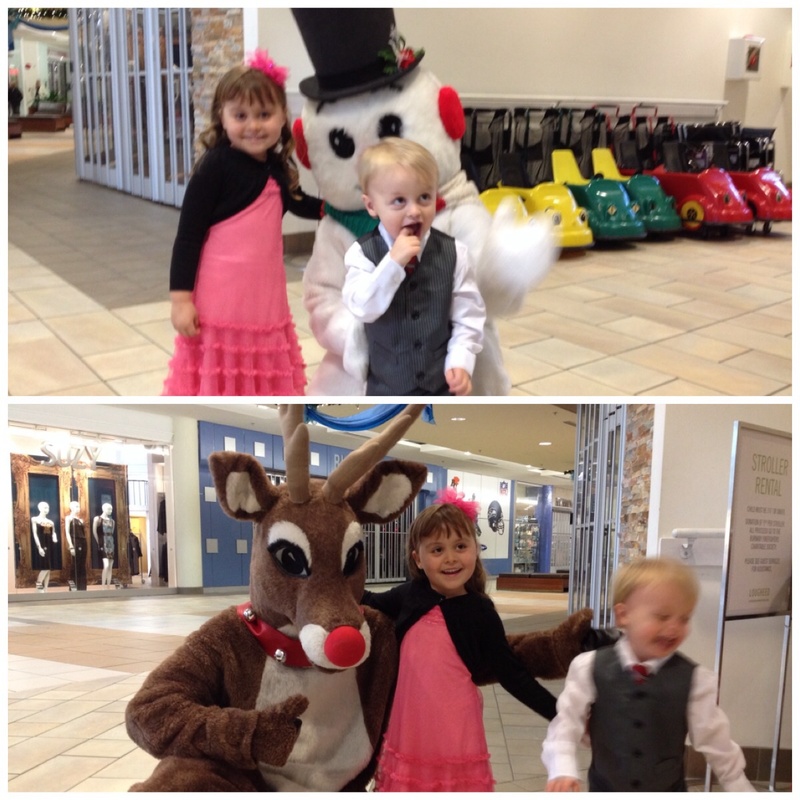 With Christmas almost a month away, everyone is starting to get in gear and get some Christmas shopping done. 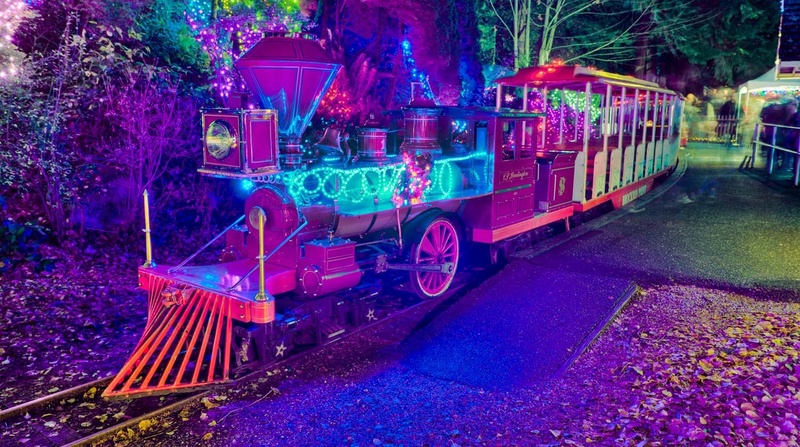 I’ll be heading to Coquitlam Centre soon to check out this amazing experience to help me get into the Christmas shopping spirit. 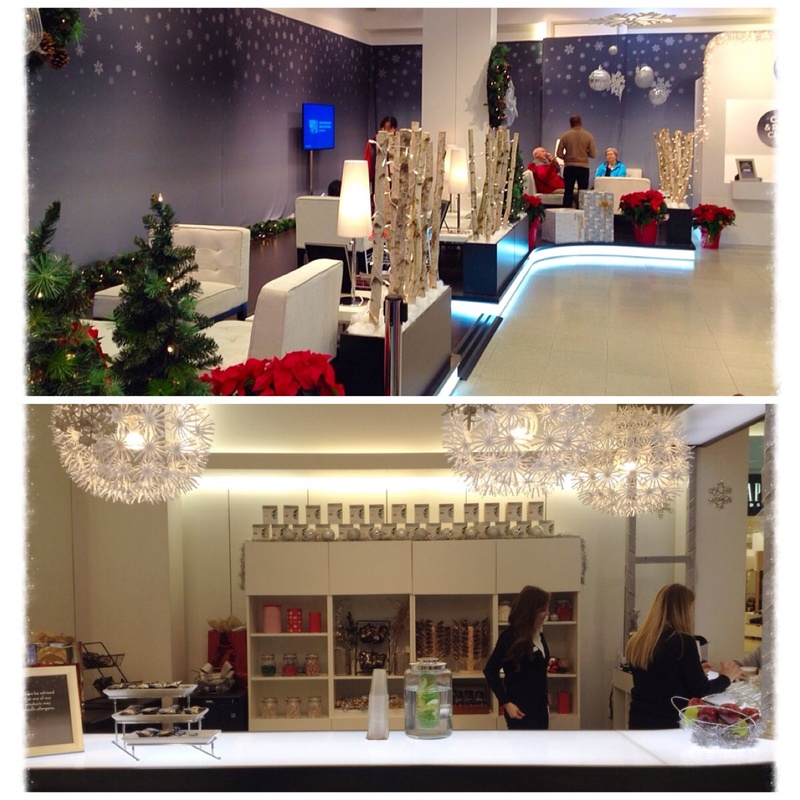 Stay tuned for an update about my visit to the RBC Avion Boutique! #GotCraft? 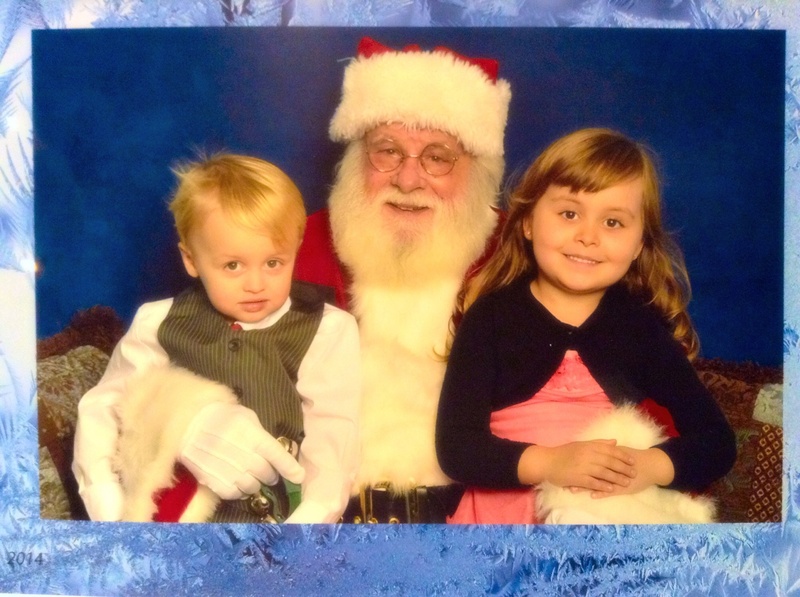 Holiday Edition, December 13-14, 2014. Do you LOVE handmade crafts?! Then you MUST attend Got Craft?! Back for it’s 16th show at the Maritime Labour Centre in Vancouver, Got Craft? showcases independent, local vendors with a wide variety of curated handmade goods ranging from jewelry, clothing, ceramics, stationary, housewares, plush toys, local artists, and more. Check out returning favourites like Mellifera Bees and Love My Local. In addition, vendors like The Beautiful Project greeting cards and Cabin + Cub jewelry are exclusive to Got Craft? this year. New to the show this year is local-minded, wildflower inspired Rogue Florist, ethically fashionable Heidi the Artist, and Make More Happy , which features beautiful, locally designed, knit clothing. Got Craft? has partnered with West Elm and West Elm Market, which will hold samplings of five Got Craft? vendors at their stores on November 29th and December 6th, 2014. The first 50 people through the door each day will receive a swag bag full of goodies from vendors and sponsors. Got Craft? 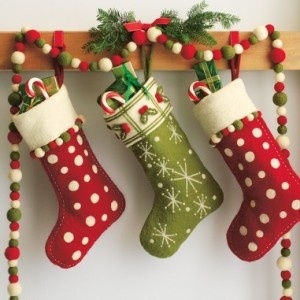 is happening Saturday and Sunday December 13 and 14, 2014 between 10am-5pm at the Maritime Labour Centre, 1880 Triumph Street in Vancouver, B.C. Admission is $3 at the door. As well, there will be local food carts to enjoy!